Now let’s add a little graphical pizzazz! A particle system is in the simplest terms, a game object that coordinates several other game objects. In 2D that generally means it creates dozens, hundreds or even thousands of lightweight graphic objects, used to create all kinds of special effects, like fire, smoke, water and more. Today we will be adding a simple ghosting effect to our character because…. Reasons! Now name your new particle system. This will create a new game object with a child emitter. This is the source of our particles. 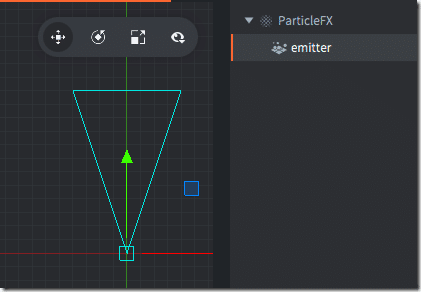 You have several different options for the emitter (think hose) where the particles will come from, but I will stick with the default cone. Now we need to pick a “particle” or image source to use for each image in the system. Select the player atlas and run animation for the particle Image and Animation respectively. 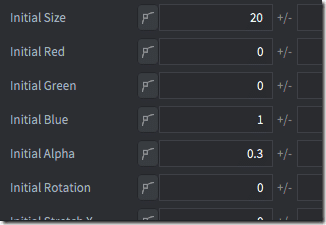 There are an absolute ton of different parameters you can control about how the particles will be created and how long they last, how fast they are “sprayed” and more. In this case, I simply set red and green to 0, blue to full on alpha (transparency) down to 0.3 or 30%. This editor gives you fine-tuned control over the alpha value of the particle across its life span. Notice the left hand margin shows values from 10 to -10, while the other axis represents the particles total life span. 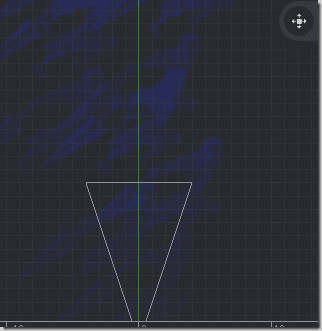 By moving points around, you can fine-tune various values over time. 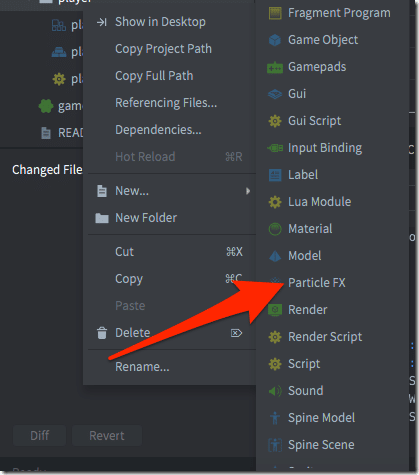 You can preview your particle system in action at any time by highlighting the view window and hitting the spacebar.